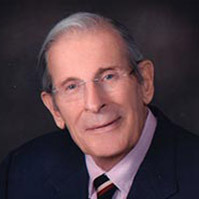 Dr. Ernst Janzen earned his degree in General Dentistry at the Royal Dental College, University of Utrecht, The Netherlands. He then graduated with a Doctorate Degree from the University of Zurich, Switzerland, where he had attended the Orthodontic Department and Cleft Palate Institute. Upon coming to the United States, he earned his Doctorate of Dental Surgery and Master of Science degrees from Northwestern University Dental School. 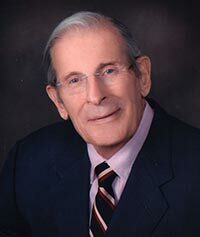 In 1966, Dr. Janzen received the Milo Hellman Research Award from American Association of Orthodontists. He also has held position as a Clinical Associate Professor in the Orthodontic Department of Northwestern University Dental School. Dr. Janzen grew up in The Netherlands and has lived in Northbrook since 1965. He and his wife Agnes have three lovely daughters, Dr. Marita Janzen, Annette Schneider, and Dr. Nikki Janzen. He also has seven grandchildren, Shannon, Bill, Monica, Chris, Tim, Ava, and Tycho. Dr. Janzen’s interests include tennis, golf, swimming, and playing bridge.